LONDON, October 15. /TASS/. 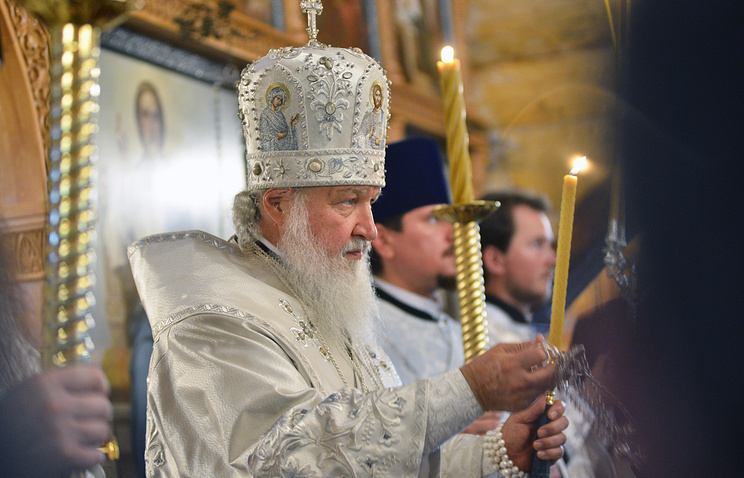 Patriarch Kirill of Moscow and All Russia, who is on a pastoral visit to the UK, has presided a vigil at the London Russian Orthodox Church Abroad Cathedral of the Dormition of the Mother of God and the Royal Martyrs. The Russian Orthodox Church Outside of Russia (ROCOR) and the Russian Orthodox Church reunited in 2007 after 80 years of separation caused by the 1917 Bolshevik Revolution. 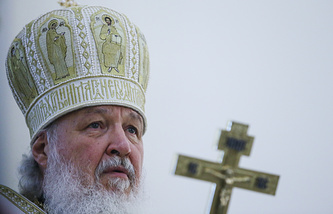 "The reunification of two parts of the Russian Orthodox Church brings joy," the patriarch said, noting at present Russian Orthodox believers could pray in the same church. A few years ago, the parishes of ROCOR and ROC had to share the cathedral, consecrating it after the other party’s divine services as if after desecration. "The London community has mirrored the most difficult time in the history of our country and our church," Patriarch Kirill said. Earlier in the day, the head of the Russian Orthodox Church had arrived in the United Kingdom on a pastoral visit, the first in the two countries’ history, to mark the 300th anniversary of the presence of Russian Orthodoxy in the British Isles. The visit will last until October 18. 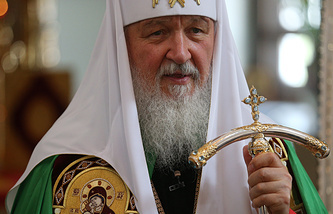 Patriarch Kirill is expected to meet with Queen Elizabeth II, who is the Supreme Governor of the Church of England, and the Archbishop of Canterbury, Justin Welby. The history of the Russian Orthodox diocese in London dates back to 1716 when the first Russian parish was set up in London on orders of Tsar Peter I.